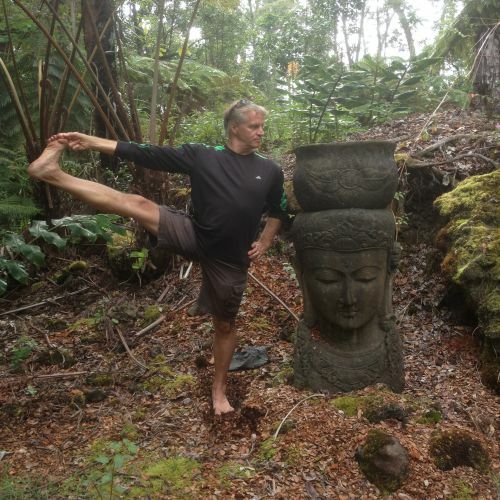 With a history of work in art and theatre, Mark taught the occasional yoga class. On moving to Idaho in 2003, yoga and wellness became more of his career focus. Mark is a massage therapist, certified through the National Certification Board for Therapeutic Massage and Bodywork. As a yoga instructor, he helps students learn to listen to their bodies and their breath more closely. Mark teaches several different types of yoga, from vigorous ashtanga/vinyasa to beginning classes for the general population, to slow and gentle classes for seniors and students with special needs. Whoever he’s teaching, his work is to observe them move through their range of motion and to help them find comfortable means of moving through that range of motion or to avoid certain movements when necessary, assisting them in becoming better observers of their own neurological habits.